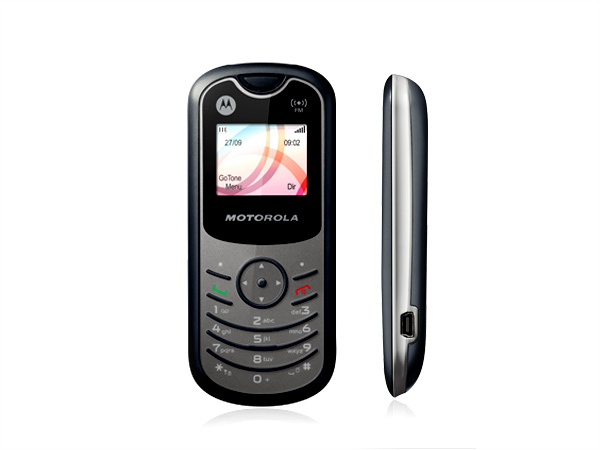 The Motoyuva WX160 is the new phone from Motorola targeting the entry level segment in the Indian Market. 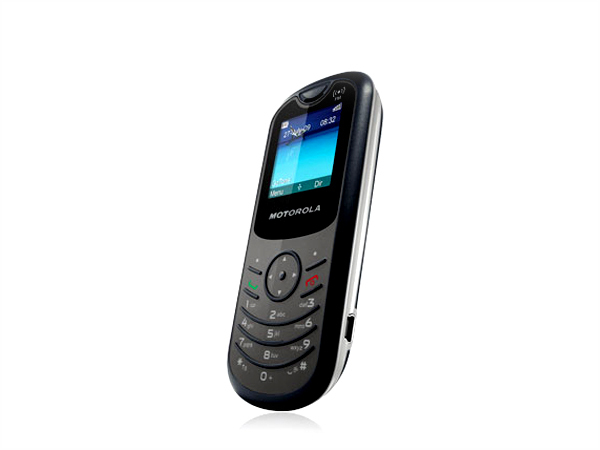 The phone comes with basic features such as FM Radio, SMS and continuous usage for up to 7 hours. The phone is designed as value for money and appeals who just want to use their phones completely as phones. 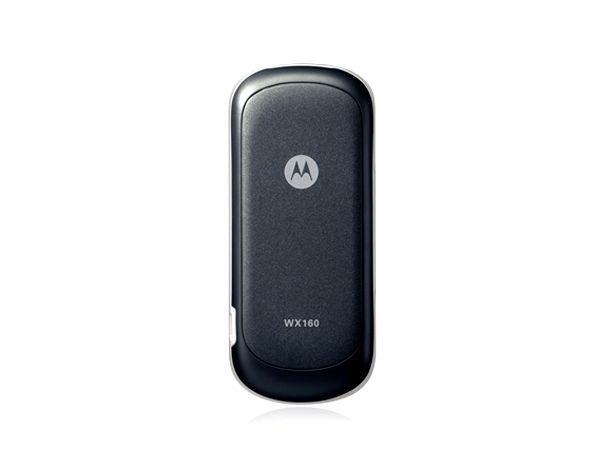 WX 160 is sleek and thin and can fit easily in any pocket size. The phone stands at 106x46x14.5 and at 65g makes it very light. The phone is completely made of plastic with the keypad made of flexible rubber material. The keys are not separated and can be annoying over a longer duration when typing. The candy bar phone sports a 64x 96 pixels screen capable of displaying upto 65K colors. The screen size stands at 1.3 inches compared to WX 180 which stands at 1.5 inches. The only difference between the WX180 and the WX160 is the display comes in monochrome colour. 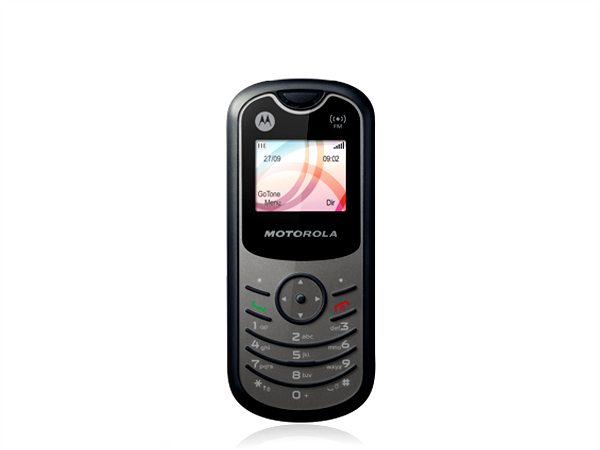 The Motorola Motoyuva WX160 offers increased battery life of up to 8 hrs of talk time and 480 hours of standby time using Li-ion 650 mAh standard rechargeable battery. The phone comes along with 1MB of internal storage which allows storage of up to 500 entries of phone numbers and 140 SMS message storage. There is no expandable slot for the phone. There is no Bluetooth, GPRS, EDGE, Infrared or any wireless data connection available on the phone. On the communication front the phone sports a pop-port USB 1.1 port for wired connectivity for media transfer and phone battery charging. On the multimedia front the phone comes along with integrated stereo FM Radio with RDS and allows recording short FM radio clips too. The phone also comes along with hindi language support for wider usage across the country. It also comes with Hinglish Predictive text, Indian ring tones and wallpapers for Indian consumers. The comes prebuilt with seven polyphonic ringtones and also 2 embedded games as F1 and Race Copter and also the general application like Organizer , Calendar with Events Reminder, Contacts, Currency Converter, Date, Clock, Alarm Clock, Calculator, and Stop Watch. The Phone also comes with innovative voice prompts in local languages (Hindi , Marathi and Punjabi ) . The phone is a cheap rugged handset for general use targetted at common man. The phone works out to be a good secondary phone especially if the camera is something that you would like to avoid on a phone.